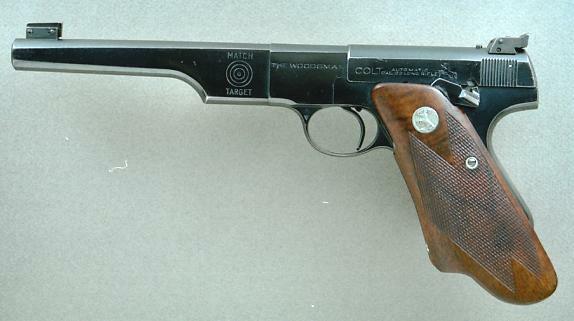 One of the first of the Bullseye Match Target models, with a two digit serial number. Full patent dates on top of the barrel and wrap-around "Elephant Ear" stocks. Trigger stop added.